Welcome to Monroe and Green County Wisconsin! Welcome to Monroe and Green County. Whether you are visiting with us, looking to relocate to our area, or are coming back home — we welcome you. The sincere and caring partnering attitudes of citizens, county and city officials, branches of law enforcement, the school system and the business community make Monroe and Green County special. Here you will find the ideal community environment to live, work and raise a family. You will be drawn to call Monroe home. Walking along our streets, shopping our businesses, or attending our churches or civic organizations, you will find a spirit of caring, friendship and cooperation that permeates every aspect of life in Monroe and Green County. You will find that our community and citizens work together to vision for our future, keeping in mind supportive ways to create change that benefits all. We invite you to explore everything Monroe and Green County has to offer. There is so much to see and do in this scenic part of our state. Take a journey through our extensive multi-use trail system or tour the oldest continuously working brewery in the midwest (we are home to the second oldest brewery in the nation). Immerse yourself in local and regional art and then sample some of the best cheese this country has to offer, as we have many Master Cheesemakers that call Monroe and Green County home. 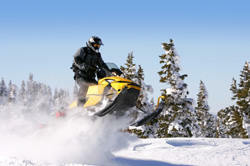 Whether you are an avid biker, ATV or Snowmobile enthusiast, or just like that pleasant scenic drive, you will enjoy the outdoor activities, trails and parks that are offered here in Monroe and Green County. 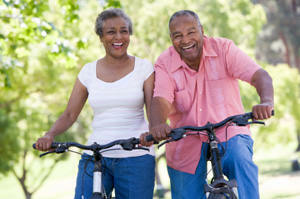 You will find that our leadership works to ensure that we enjoy an exceptional quality of life. Monroe boasts 175 acres of parks for you and your family’s leisure, and we are home to two State Parks in Green County encompassing over 415 acres of land. Additionally, both the Badger State Trail and the Cheese County Trail run through Monroe, together these trails have 87 miles of pure enjoyment. Feel like hitting the greens? Green County is home to 5 public and private golf courses, a driving range, two miniature golf courses and 5 campgrounds. There is literally something for everyone in Monroe and Green County when it comes to recreation. Like the wide open? In Green County we have many opportunities for canoeing and tubing. And, if you enjoy movies, we have one of the few drive-in movie theaters left in the Country. Come see how special Monroe and Green County are — if you don’t live here, you have to come experience the wonderful quality of life and people that makes us call Monroe and Green County home. Click on the image to open an interactive bike map of the City of Monroe and surrounding Green County. 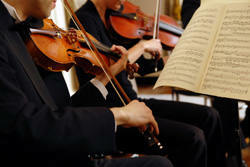 Monroe area offers a rich culture including performing and visual arts. This indoor movie theater is located on the downtown square in Monroe. The Monroe Arts Center building is home to many artists and performers throughout the year. The MAC, as commonly referred, once housed the Methodist Church and was built in 1869. This building of greek revival architecture features a stunning circular stained glass window, known as the Rose Window, on it’s facade. The MAC hosts performing arts events while the Frehner Gallery features monthly exhibits of visual arts. New Glarus is home to the Swiss Historical Village which features life depicted from the early European settlers in the 1800s. The village is made up of 14 buildings including a settler’s log home, blacksmith shop, smoke house, general store, school house, church and print shop. Turner Hall features a restaurant with regularly scheduled Swiss entertainment including polka bands and the Monroe Swiss Singers. Turner Hall also houses a bowling alley. The original Turner Hall was built in 1868, but burned to the ground in 1936. The community came together to build a new Swiss-style Turner Hall that was completed in 1938. Notable visitors include John F. Kennedy, William Jennings Bryant and Lawrence Welk. Monroe is proud to be the home of the oldest, continually operating brewery in the midwest. 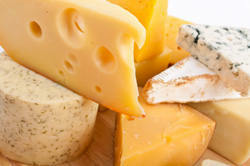 There are several options within the immediate area for the cheese, wine or beer lover in your group! The Minhas Brewery, formerly known as the Joseph Huber Brewing Company was built in 1845. The Brewery is the oldest continuously operating brewery in the Midwest and the second oldest in the nation. For a flavorful taste of history, be sure to take a tour! Tours available Friday and Saturday. Call 608.325.3191 for reservations. Minhas currently brews Huber, Rhinelander, and Mountain Crest brands as well as Blumer soda. Nestled just outside of the rolling hills of New Glarus, is the home of the Microbrewers of the ever popular Spotted Cow Ale, Raspberry Tart Framboise and Belgian Red Cherry Ale. Free self-guided tours are available daily. The National Historic Cheesemaking Center is located at the intersection of Hwy. 69 South and 21st Street. It is a restored 1888 Chicago, Milwaukee and St. Paul railroad depot. Tourists can recapture the past by touring the center which replicates an 1800s era cheese factory, along with displays, maps and history about our rich cheesemaking tradition. Their welcome center offers local, country and state information on attractions and activities. Open April through October. Reds, whites, and fruit wines – everything from dry to sweet. The tasting room has the feel of a cozy log cabin, with the added bonus of a truly spectacular view. Varietals in the vineyard include Frontenac Gris, Marquette, and Petite Pearl. Nestled between the vineyard’s hills is a small pond with a windmill where a pair of Red Tail Hawks frequently perch – thus the name for the winery – which is located southeast of Cadiz Springs Recreation Area. Offering a wide selection of wines, made primarily from Wisconsin grown grapes and fruit, New Glarus Primrose Winery is just a short drive from Monroe and located in the historic swiss town of New Glarus. Getting in touch with nature has never been easier. Right outside your door you’ll have access to hundreds of miles of hiking trails. Don’t mind jumping right in? Gather your friends and canoe or tube down the Sugar River. Need to unwind? 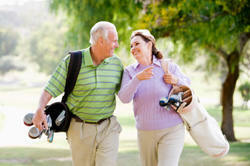 Tee off on one of our many golf courses. There’s enough beauty, wooded trails, and water to satisfy your adventurous spirit! 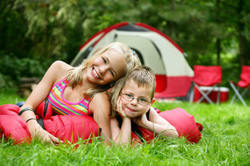 Green County Wisconsin area is full of out recreation and offers a nice selection of camping areas. 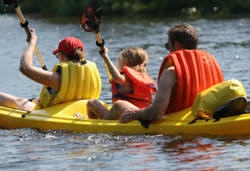 Green County offers many ares for water recreation, Canoeing, Kayaking & Tubing. Golfing in Green County Wisconsin. The City of Monroe and the Green County area has endless options for out door recreation from our large selection of municipal parks as well as State Parks and forest reserves. Two man-made lakes, Beckman and Zander are popular fishing destinations. The park is for day use only. Located just south of New Glarus on Wisconsin 69, New Glarus Woods is a convenient destination for overnight camping. Hiking trails lead through natural habitats and native oak and walnut stands. 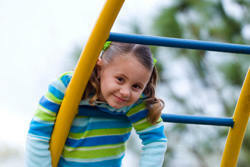 The city of Monroe maintains several neighborhood playgrounds, including Advance Playlot, Water Tower Park and the Senior Center Playlot on 10th Street. 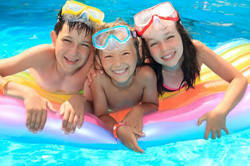 Water Recreation in Monroe Wisconsin and surrounding Green County facilities. Also see parks and recreation. From hiking, bike, ATV and snow Green County Wisconsin has miles of trails for you to explore. This 40 mile trail runs from Madison to the Illinois borders through Clarno, Monroe, Monticello, Exeter and Belleville. There is a 980 foot long Stewart Tunnel between Monticello and Belleville in the town of Exeter. The trail intersects with the Sugar River Trail at Monticello and joins the Jane Addams trail at the state line leading south into Freeport, Illinois. Restrooms, refreshments and passes are available at the Green County Welcome Center, 2108 6th Avenue in Monroe. This 47 mile trail is part of the Tri-County Trail System. The trail starts in Monroe and continues through LaFayette County to Mineral Point in Iowa County. Parking and restroom facilities are available at the Green County Welcome Center at Wisconsin 69 and 21st Street in Monroe. You can purchase your season passes at the Welcome Center. This trial follows the boundary of glacial movements in the state. The Exeter segment of the Ice Age Trail uses portions of the Sugar River Trail in Green County. This trail is on the former branch line of the Milwaukee Road railroad between Belmont and Calamine. The trail is surfaced with limestone and open year round. This 23.5 mile trail runs along a converted railroad bed and connects New Glarus, Monticello, Albany and Brodhead. This is a four-season trail and it allows you to take in the beautiful scenery. 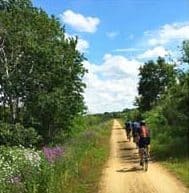 Bicycle trail passes are required and are available at the trail headquarters in New Glarus as well as locations along the trail. One mile of trail is black-topped and open to in-line skaters. 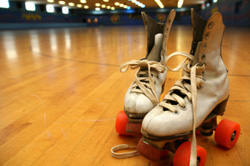 No matter the season, there is plenty to do with Monroe’s recreational facilities! Seasonal Go-kart track and rentals. Many programs are open to non-members and day passes are available. SLICE is home to the Monroe Youth Hockey Association and offers open ice skating for the public. The facility is also available for rent. hub of trade and commerce since the Green County courthouse was built in 1891. Here, you’ll find a number of unique specialty stores, professional services, eclectic restaurants and entertainment options that are nearby. Tour the Minhas Brewery, the Monroe Arts Frehner Gallery, Historic Green County Cheesemaking Center or one of our many cheese factories. There are a number of not-to-be-missed events that take place throughout the year in downtown Monroe, including the nationally renowned Green County Cheese Days. which draws more than 150 thousand people. The Monroe Balloon Rally, Farmers Market, Minhas Blues Festival, Green County Fair, and more. During the holidays, enjoy Chris kindle mark, (Christkindlmarkt,) a German tradition dating back to the 14th century that features unique handcrafted items from area vendors for gift-giving. It’s all happening in Historic Monroe Square. Relaxing, comfortable hotel features indoor heated pool, free continental breakfast, free highspeed internet, great rates & friendly staff. Whirlpool suites available. Easy to find, conveniently located. Open year round. Our 24 hour front desk staff is helpful, courteous and friendly. From Monroe, WI, we are 24 miles south on Route 69, which becomes Route 26 at Illinois border. Conveniently located at the intersection of IL Route 26 & IL Route 20, between Rockford, IL & Galena, IL. 685 30th Street Monroe. Call if help is needed with directions.